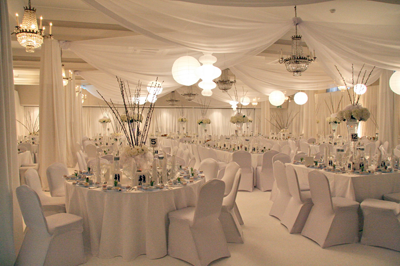 We understand all the elements needed to create a successful event, from an intimate soiree to a grand celebration. Now, you can really enjoy the moment, relaxed in the knowledge that Royale Cuisine’s professionals have it all under control. We manage every facet of your function, from the moment the first dishes arrive till the final tablecloth is whisked away. Our discreet Butlers, immaculately clad in their uniforms, pay quiet attention to your guests’ every need, leaving you free to sparkle. From subtle lighting to glittering ice sculptures, Royale Cuisine creates lasting impressions and golden memories. You can be confident with Royale Cuisine that your function will be remembered for years to come. The possibilities are endless, every event being as special to us as it is to you. We take every care to ensure that we have discussed your ideas in detail with you first, to get a feel for what you are visualising, and we then turn that vision into a reality.